When housing isn’t affordable and secure, families suffer. Families that are financially on the edge and distressed make such sacrifices at higher rates than those who are not, and three in four distressed parents have made one of these sacrifices in the past three years in order to cover their rent or mortgage. On-the-edge and distressed families not only make more sacrifices. They also worry about housing and financial considerations at much higher rates and report struggling to keep up with bills and concerns about being foreclosed and evicted at much higher rates. Habitat homeowner Joyce Foster’s future is brighter, thanks to an affordable mortgage. She is debt-free, has a stronger sense of community and sees college opportunities for her children. An affordable mortgage — the kind that Habitat offers to families around the world — puts families on firmer footing. Purposeful plans can replace tough choices. Worries about tomorrow can become dreams of a better future. Stability and security help families turn the corner and take the first fundamental steps on the path out of poverty. I have an emergency and have to move out next month, how fast is this process? 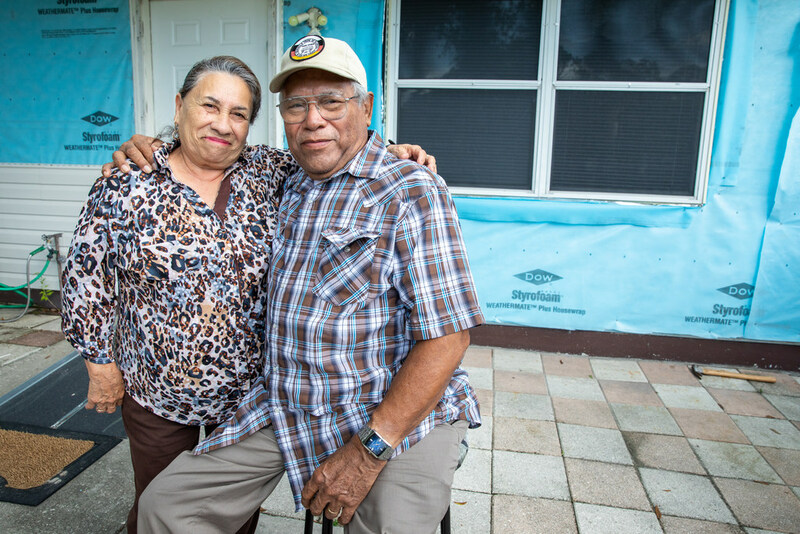 To become a Habitat Homeowner takes time and dedication. Some applicants need time to work on credit clean up, some applicants take longer than others to complete sweat equity. In general, the process for Homeownership can take approximately anywhere from 10 months-2 years it really is a case by case basis. Sweat equity is a term for volunteer hours completed in the Homeownership program. If the household is a 1 applicant household, 200 hours of sweat equity need to be completed with 100 of the hours in construction, barring limitations. If the household is a 2 applicant household, 400 hours of sweat equity need to be completed with 100 of the hours in construction, barring limitations. I don’t have a printer to print at home, where can I pick up an application? Applications are available in hard copies at our office location: 45 Catharine Street, Poughkeepsie NY 12601. Please call the office prior to coming so that someone may have an application package ready for you when you arrive. Yes you can still apply, but know that credit clean-up may be in your future as part of the process. In order to qualify you need to meet the income guidelines, a need for housing, be a first time homeowner and be willing to partner with Habitat which means taking classes for homeownership and performing sweat equity.